If you're watching the Country Music Association Awards Wednesday night, you'll be in for a treat from Thomas Rhett. The country star is joining forces with alternative-rock band Fall Out Boy for a performance during country's biggest night. Talk about a dream team! 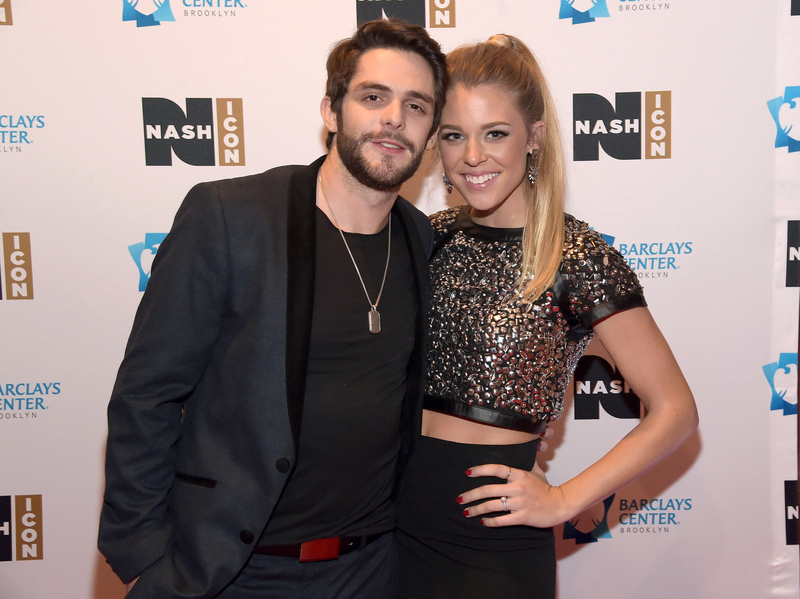 But looking ahead to the award show, some fans might be curious about another dream team they might see that night — Thomas Rhett and his wife Lauren Gregory. As it turns out, Gregory is Rhett's sweetheart from way back in the day. They've known each other ever since they were in the first grade. Whoa! Rhett spilled to Taste of Country that they first began dating when they were both 15, but ended things after six months. However, they went on to remain close friends despite having other relationships for the next few years. Then, in 2011, Rhett found out that Gregory had ended another relationship, prompting him to make his move yet again. "I moved in for the kill. We kissed, and that was it," he said. Indeed! The pair dated for only six months before they got engaged in December of that year. They tied the knot in 2012, and in the few years of marriage they've had since, they seem to be more in love than ever. But aside from being Rhett's sweetheart, Gregory is also a sweetheart in the social media world, especially for those who are country enthusiasts. Gregory, who has 105,000 followers on Instagram, has cultivated a following in her own right by being so active and so entertaining with her followers. From posting fun photos of the couple's adorable dogs to sharing snaps of herself enjoying ice cream, there is never a dull moment on her feed. But even though there is a big element of excitement to her posts (like the one below, where she helped her hubby walk the dogs before casually going to the CMT Awards), there is still an element of relate-ability to her pictures. It's refreshing to see pictures of her with little makeup, with delicious desserts, and with goofy expressions on her face. So it's no wonder that she's basically the social media BFF of the country world. Of course, it certainly doesn't hurt that Gregory uses her big platform for a good cause, too. As she documented a few weeks ago, she recently made a trip to Haiti to raise awareness for the 147 million orphans in the country. Hopefully, Gregory will be joining Rhett on the red carpet at the 2015 CMAs as country's steadfast dream team.